With plummeting oil prices the ruble continues to decline against the euro and other currencies to such an extent that the average Russian wage may soon hit a level equivalent to the Lithuanian minimum wage. On Thursday the euro exchange rate to the ruble hit around 92 to the euro. If the currency declines further to a level of around 98 rubles to the euro, the average salary in Russia would then become smaller than the minimum wage in Lithuania. On Wednesday the euro exchange rate reached 88 rubles and Russia's average monthly salary fell below the minimum monthly salary in Estonia. The average salary in Russia is equivalent to about €370 at current rates, with the minimum wage in Estonia at €390 and €350 in Lithuania, before taxes. 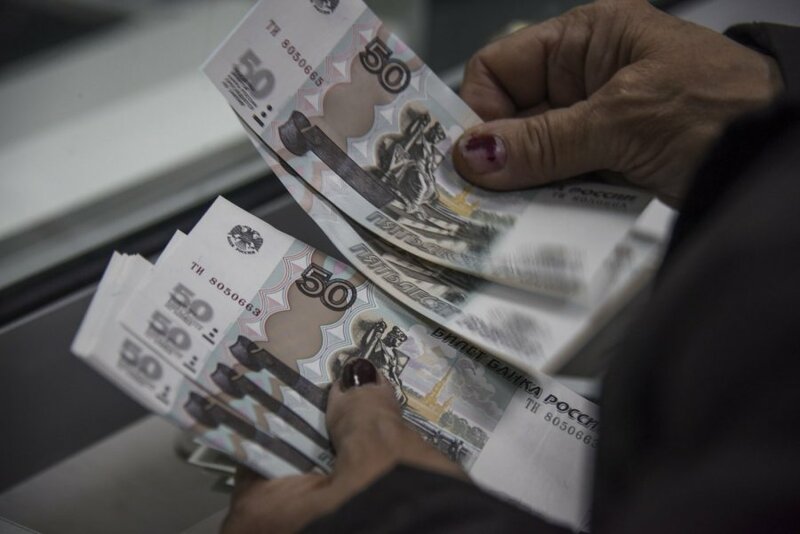 Since the beginning of this year the ruble exchange rate to the US dollar has also fallen. On Thursday one USD cost about 85 rubles. The fall in the value of the ruble is being driven by a collapse in oil prices on global markets.